Holidays are enjoyable and something that we all look forward to, plus they also have a very positive impact on our health and wellbeing. It’s a fact; it is good to get away, whether it’s snorkelling in Egypt or going on a walking holiday in the Cotswolds. However, without good financial planning the financial side of a holiday can creep up on you and play havoc with your finances. We want to help you avoid this and give you the tools to plan a trip in advance to ensure you don’t have too much of a holiday hangover in 2016. If you save as much as you can before you leave, you won’t have to rely on your credit cards and worry about having to pay off your debt after you arrive home. It may feel early to start thinking about summer holidays but the longer you give yourself to plan, the better it will be for your finances and will help make life less stressful when it comes to paying for it. According to research the average British family plans to spend between £1,000-£2,500 on a summer holiday, which is the equivalent of two months pay after tax, based on the average annual wage of £26,500. So if money’s tight, how can you make sure you stick to a budget? We’ve pulled together ten handy tips to help you to start to plan ahead and make sure you can jet away for a spot of stress-free sun. A lot of people fall into the trap of booking a holiday based on the cost of the flights and hotel. It is important that before you book it, you work out how much everything will cost. Make sure you include insurance, spending money and car hire. In the short term this might feel like a strain but we recommend setting yourselves a savings target. Our advice would be to put money away in instalments on payday every month – this will really help you when it comes to the holiday season and not feeling the pressure. Think about getting those holiday essentials early in the sales, look out for bargains and grab them at a reduced price. Think about the destination – if you are flexible and are not so fussed about going somewhere that isn’t a typical holiday resort you will get much better deals and will help make sure your holiday doesn’t break the bank. This is the most obvious of all but if you travel off season you are sure to get a better deal. Not to mention smaller crowds at popular tourist destinations and a greater chance at fitting more into your trip. This can take time but doing an extensive online search, looking at who is offering the best packages at the lowest prices, will help you get the best deal possible. Expedia.co.uk and Kayak.co.uk are good places to start your hunt. Think about how you are going to access money if you’re overseas. These days there are great deals on a prepaid travel card. Not only is this safer if you lose the card but avoids you paying high transaction fees when you are abroad. If you like to have cash with you then order your currency in advance as this is most likely to be the cheapest way of getting it – travelmoney.moneysavingexpert.com has a useful price-comparison service with the best rates for advance purchase. Before you go on your holiday set a daily budget within your means for food, drink, activities and shopping. Don’t forget to portion a pot for emergencies or unforeseen expenses. Once you are there put your daily allowance in separate envelopes for each day and keep them locked away. Each day, use only what’s in that day’s envelope. Hotel restaurants can often be more expensive than local restaurants. Ask reception for recommendations for local family run restaurants nearby. Street food is another inexpensive option and is a great way to try authentic local cuisine. Don’t rack up expensive phone bills – roaming can really hit your phone bill when you return from holiday. Before you go buy a roaming bundle from your mobile provider or when you arrive, buy a local Pay As You Go SIM card. It’s minimal hassle and sensible move if you’re going to be away for over a couple of weeks and know you’re going to be phoning home. 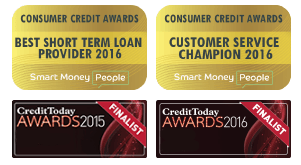 For more information about Mr Lender, read about us here. Previous Previous post: Is a financial New Year’s resolution too hard to stick to?